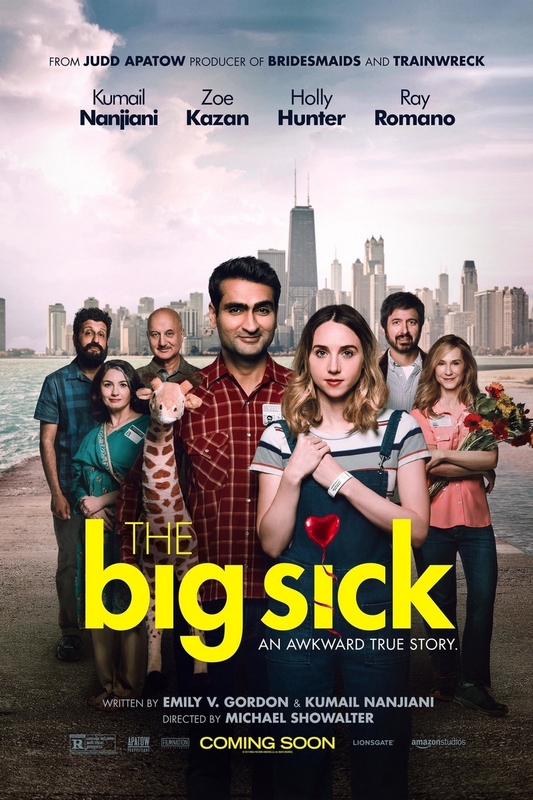 The Big Sick DVD and Blu-ray release date was set for September 19, 2017 and available on Digital HD from Amazon Video and iTunes on September 5, 2017. Kumail Najiani and Emily Gordon come from different worlds. This didn't stop their one-night stand from growing into a fully fledged romance, however. Kumail's background is found in a traditional Muslim family, while Emily is your average American citizen. Kumail's family is displeased with the idea that Kumail would seek a relationship with an American. This cultural clash comes to a head when Emily contracts a mysterious illness, complicating Kumail's life even further. Kumail must work through this illness with Beth and Terry, Emily's parents, whom Kumail had yet to meet before this point.